One of the most interesting aspects to The Hummingbird Project was the central plot. In its simplest form, the lead characters’ plan seemed pretty straightforward given their goal. Best of all, the numerous challenges that they faced served two purposes that benefited the film. The first, was the constant build up of suspense. Not only were the challenges clear to understand for the average person, but they left you wondering how the lead characters would overcome them or not. The other purpose was that each obstacle faced made each character more compelling and intriguing. The overall cast did a wonderful job with their performances. 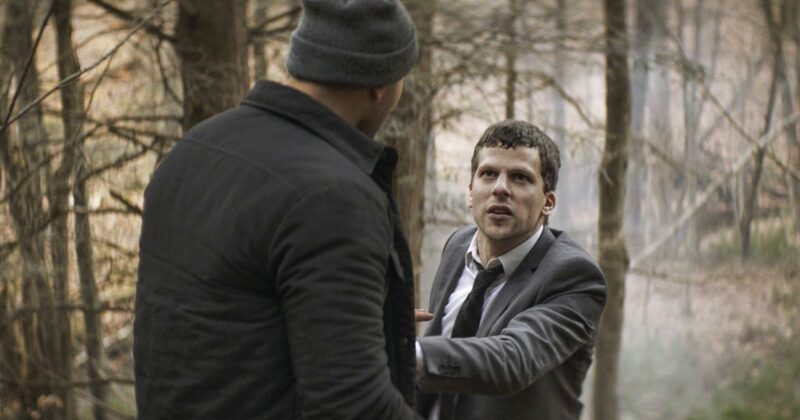 While it’s pretty easy to liken Jesse Eisenberg (“Vincent”) to simply stepping into his “Social Network” role again, I appreciated the fact that he was able to display a bit more range in this role. His character had some significant highs and lows that enabled Eisenberg to really dig deep with his performance and show audiences he’s not just a fast talking nerd. Furthermore, “Vincent” explored some interesting character development throughout the film which made his character more relatable towards the end. Alexander Skarsgård was surprising given his transformation into the role of “Anton”. Skarsgård was almost unrecognizable compared to his other roles in the past, and he certainly delivered a convincing performance. He probably had one of the most comedic scenes in the film as well. As for the other supporting roles, Michael Mando (“Mark Vega”) worked very well to compliment the leads in the film. His character probably felt the most easiest to identify with because he seemed to be the most grounded. I do believe, however, that the standout in this film was none other than Salma Hayek (“Eva”). She was such an intimidating and believable antagonist even if her character was just a business owner. Whether you could tell or not from the trailer, the biggest issue some people will deal with in this film is the technical jargon that is thrown around consistently and effortlessly. Despite being an IT professional myself, I found some of the jargon to be overwhelming at times. Thankfully, right after an episode of heavy tech talk, a more practical, layman’s term or phrasing was used to bring things back down to Earth. The concern here, however, is that the average, non-technical oriented viewer may not have the same level of patience. Many of the details, while being important to the story, can easily go over the heads of casual moviegoers. Jargon can lose people.Easy to get lost in the details. One final issue may come in the form an anti-climatic ending. With the mounting challenges and pressures progressing the film and its plot, by the time we get to end, the movie feels like it came to a lackluster stop. This has nothing to do with whether the ending was a happy ending or not. Rather, this is more so indicative of the great climb in suspense not having a satisfying payoff by the time the film concludes. While I do appreciate the pragmatic ending to the movie, I do think that a few tweaks in the editing or cinematography would’ve helped convey the resolution in a bit more engaging way. The Hummingbird Project is an alluring and smart film, especially for IT and financially savvy professionals. It’s still an overly techy movie that isolates its audience with the subject matter. The Hummingbird Project is like a smaller scale version of The Social Network meets The Wolf On Wall Street. It’s hard to recommend this film for causal moviegoers (for the reasons listed above), but that isn’t to say this movie doesn’t have any appeal at all. 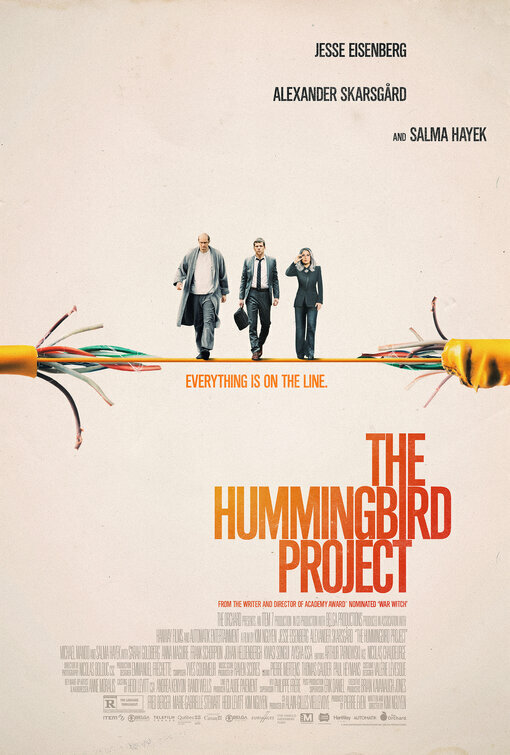 While The Hummingbird Project may not be a major draw for a theatrical viewing, it does feel more appropriate to viewed via a streaming platform. Best recommendation is to trust your gut based off the trailer. If it appeals to you, then you’ll probably enjoy the film for what it is. The Hummingbird Project is now in theaters. Be sure to follow E-Man’s Movie Reviews on Facebook, Subscribe on YouTube, or follow me on Twitter/IG @EmansReviews for even more movie news and reviews!